One of my favorite summer traditions is going to the Kenny Chesney concert each summer. MJD and I have been going with two of our friends for the last several years. It’s always the end of August and rain or shine, it is always a complete blast! Kenny Chesney’s music to me is like a summertime soundtrack- between the country and beachy vibes, his songs always make their way onto my summer playlist. 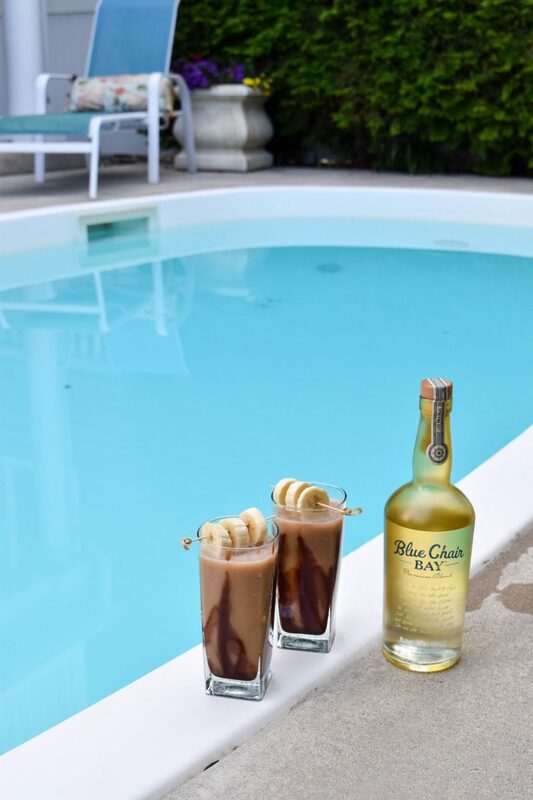 This summer I’ve been seeing a new side of Kenny Chesney through his beach inspired rum line, Blue Chair Bay Rum. The rum comes in some delicious tropical flavors making it perfect for frozen summer cocktails. What could be better for a pool day? Because I have the biggest sweet tooth, I obviously couldn’t resist adding some chocolate into the mix too. 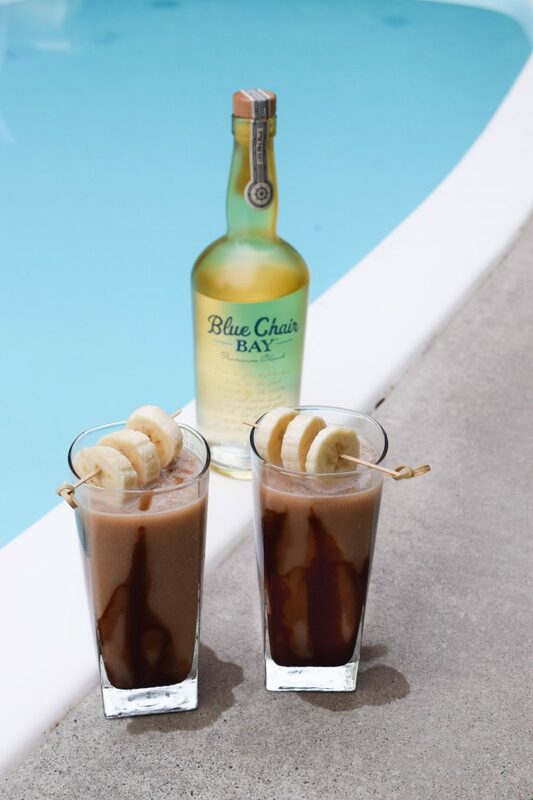 Thanks to Kenny’s Blue Chair Bay Banana Rum, I created the yummiest frozen chocolate and banana drink- a Banana Mudslide. One sip and you’ll find your new summer drink! Add all ingredients except garnish to blender and blend until well combined. Use additional ice as needed to achieve desired consistency. 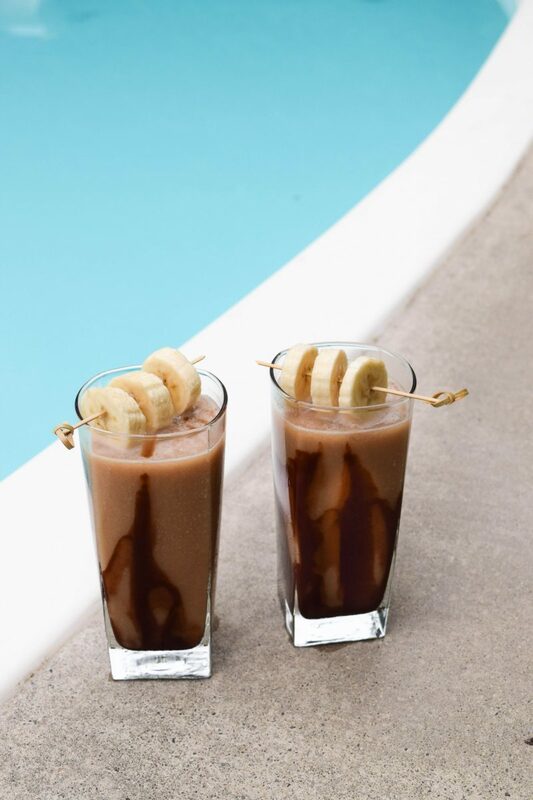 Swirl chocolate syrup into chilled glasses. 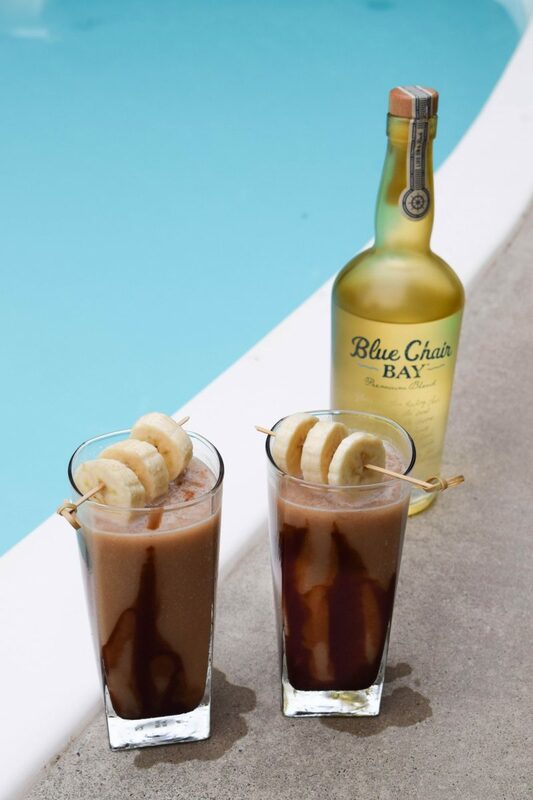 Pour mixture into the glasses and garnish with additional banana. FYI- This post is sponsored by Blue Chair Bay Rum. All images, opinions and recipe are my own.